Delainey Garland is a student at the University of Oregon. She is graduating this spring with a degree in journalism and a focus in broadcasting. She is interning at IMAX studios in her hometown of Los Angeles this summer, working with their global events and publicity team. She hopes to one day have her own podcast or host TV specials. She discovered her interest in in radio this winter in a class taught by Damian Radcliffe, Carolyn S. Chambers Professor in Journalism, University of Oregon. 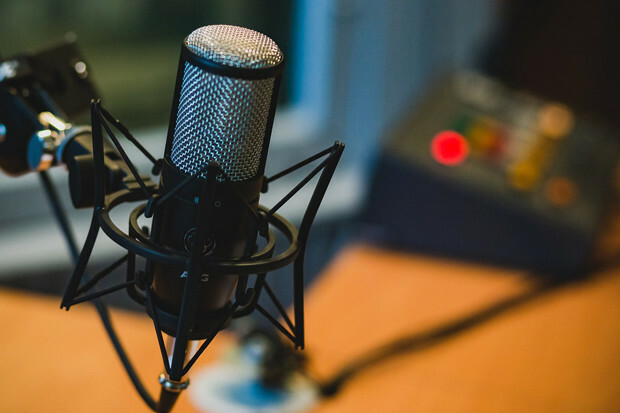 Ten weeks ago, if anyone had asked me what I knew about podcasting I’d say 'it’s more than one person sharing a story through audio, it’s telling a story through a certain perspective'. I was absolutely wrong. Audio storytelling is so much more vast than people make it. It’s telling a story while broadcasting someone’s authenticity, and at the same time, exposing the truth. It’s concrete. It’s unique. And most of all, I consider it to be purely authentic and expressive at the same time. Here are 10 important and essential aspects I learned from an audio storytelling class this year. There is a process for everything. There is a technical aspect to each element of the audio. It can’t be treated as something that you would do right before deadline, because it takes time and attention. At first I thought this was going to be easy, yet I now know I was arrogant to think that was the truth. It’s so much more. Similarly to when you tell a story, there needs to be structural arc. That goes with fiction or a historical piece too – your story has an ending point, or a climax. Otherwise listeners are lost. Remember, they can't hear your thoughts, so you must never assume. For example, if the podcasters are having a discussion about a current topic, or if it’s an interview, they must know what they want to get out of the discussion. What aspects of the story are you trying to reveal? What does the audience want to know? Think about what you’d like to unravel within your story. This is easier said than done. This is the step when you think outside of the box. Think "If this were me, what would they ask? ", and do your research. Understand the purpose of your story and what you’re trying to tell to your listeners. This is how you grow within the interview itself. If they’re clear on their understanding of their ultimate outcome, you’re clear on what questions need to be asked. Preparation is also important when it comes to your equipment. If you're doing an interview outside of the studio, or even if you’re collecting natural sound, make sure to have your recorder and microphone. And extra batteries. After listening to multiple podcasts, you begin to get an ear for certain faults. People notice if your voice is muffled. People notice if the interview quality is lacking. And people notice when you don’t put in the effort. Yes, audio equipment can be expensive but there are tools and tricks you can use to at least make the effort to improve your attempt. If you’re on a college campus, see if your school has a studio. They’re usually happy to help. If you’re starting at home, soundproof your room with foam. Or even try to record under your covers – it helps! Use your judgement. Don’t be afraid to change audio levels or to add music to your piece. It’s your job to make sure the audience stays captivated. There are effects in most audio editors that can help stabilise your levels, such as the equalising effect. It makes sure your audio range is similar, and doesn’t drastically change within the piece. You’re trying to attract attention not confuse your listeners, so make sure you’re not adding too much. Yes, there is such a thing – and just because it sounds good to you doesn’t mean it will affect someone else the same way. Don’t distract, attract. Be ready for unexpected stories, and most of all, be ready to throw away the segments you assumed were most beneficial. Life doesn’t have a script. If you think about your life stories, how often do you think of the good ones on the spot? It takes time to acquire the stories worth listening to. If your interview is on location, know that your recorder will pick up extra sounds. If it’s in a park, find an area away from kids. If you're recording in a house, move to a smaller room rather than a large kitchen where it echoes. Don’t feel bad about testing different areas to get strong quality, or asking your interviewee to speak up or slow down. A car, as creepy as it sounds, is often a great place to record interviews. It’s hard to grasp timing. When it comes to telling a story, we often thrive off the opinions around us. "Are they getting it? ", "Are they enjoying it? ", and most apparent: "Should I change the subject because the listeners are losing interest?" The question isn’t whether or not you should change the topic, or whether they agree, it’s if they’re still captivated listeners. Every topic has a time limit, and at some point we tune out. For example, we won’t listen to an hour-long story about a dog on a walk. Yet, we may listen to an hour-long story about a dog who saved countless lives on the police force. We can agree that one story is more influential and could potentially hold our attention all the way through. Guest teacher Peter Laufer explained that we’re the audience’s eyes. Now, the fun part of being their eyes is that you’re painting the picture for them. With that, it’s their choice on how they perceive your description, and that gives them more freedom to illustrate it how they like. So be specific, and let your words tell a story. I am far from perfect in audio storytelling. Yet, in 10 weeks I have learned more than I ever thought I could. It takes time, practice, and patience. It truly is an experience, and it’s fun. Everyone loves to talk. There are no limits to audio storytelling. Your voice is a powerful tool, with or without a screen to back it up. It has the power to call attention, share awareness, tell a story, paint a picture, retell history, and give you insights into someone’s life without any visuals. You can follow Delainey on Twitter, Instagram and check out her portfolio website.